Rising Sun Architecture, LLC provides ADA Floor Plan Development services for Commercial and Public Buildings Spaces with the goal of compliance with the Dept. of Justice, 2010 ADA Standards for Accessible Design. We provide these services for both new construction and building retrofit or remodeling projects. The aim of ADA Floor Plan Development focuses on building circulation and restroom design and is based on the movability of a standard size wheelchair. These designs are beneficial to not only wheelchair users, but also to anyone needing assistance, to the elderly, or parents with small children making building space more usable and amenable to more people. 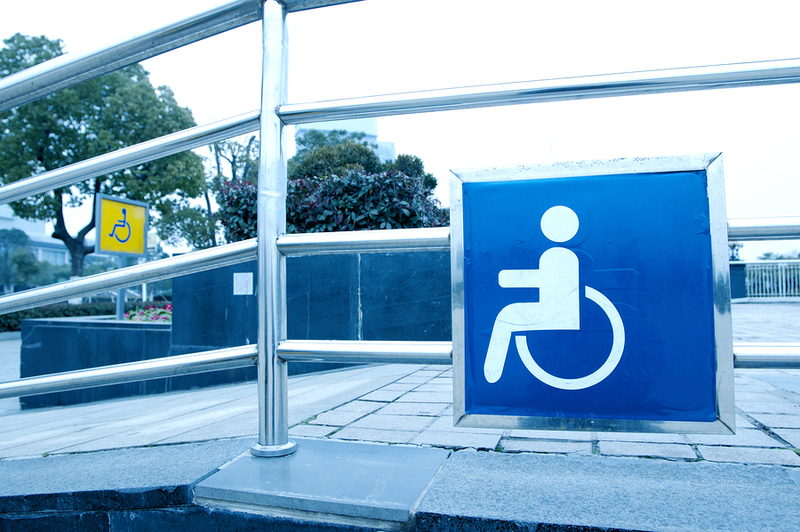 We can create new or modify existing drawings to bring the affected building or area into ADA compliance. We will incorporate into any ADA Floor Plan avoiding any building code related conflicts. The space design keeps in mind the overall traffic and design flow and aesthetic of the space, whether a restroom, hallway, entryway or other space. This service is not intended for private residential spaces which make homes handicap friendly according to individual needs. Download our ADA Floor Plan Development flyer.